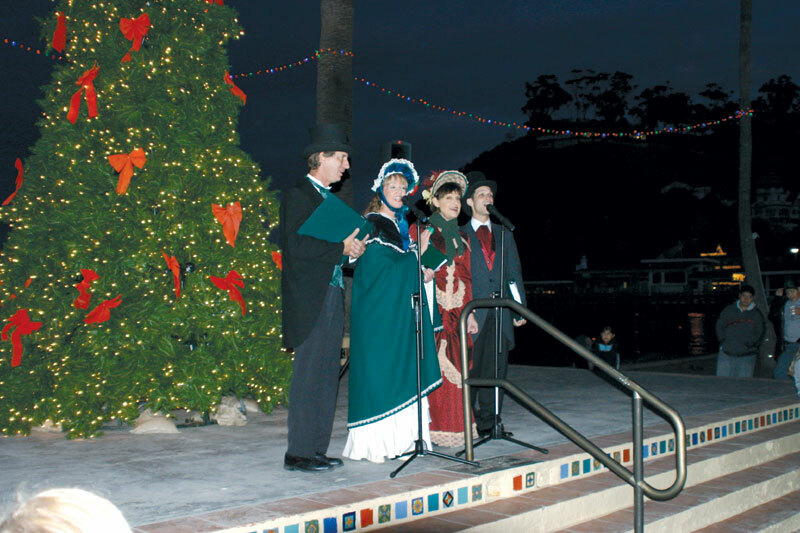 AVALON — Visiting boaters are invited to join Catalina Island locals at Avalon’s holiday tree lighting and 18th annual Shop at Home Night, Dec. 3. The evening is set to begin with a 5 p.m. tree lighting ceremony at the Wrigley Stage. Santa and his helpers are scheduled to arrive on a local fire truck. Toys for Tots volunteers will also be at the Wrigley Stage during the lighting of the tree, accepting wrapped or unwrapped toy donations for local children in need. Children can have their picture taken with Santa when their families bring two cans of food to a food drive at El Galleon Restaurant, 411 Crescent Ave., from 6 to 8:30 p.m. Throughout the evening, participants will be treated to the sounds of strolling carolers on Crescent Avenue and special events at local stores — including holiday discounts and prize drawings. Various vendors, shops and El Galleon will have food available for purchase. Those who participate in the Shop at Home Night event will also have the chance to be entered into a drawing for two tickets to the island’s annual New Year’s Eve party at the Casino Ballroom, valued at $350. For more information visit catalinachamber.com or call the Catalina Island Chamber of Commerce at (310) 510-1520.